In a message on Monday, Temasek’s chief executive Ho Ching proclaimed that investment returns by Temasek, GIC and the Monetary Authority of Singapore (MAS) are the “single largest contributor” to Singapore’s budget. Temasek and GIC (formerly known as Government of Singapore Investment Corporation) are sovereign wealth funds of Singapore while MAS is the central bank of the nation. “The single largest contributor to SG budget was the returns from investments by GIC, MAS, and Temasek. This is more than corporate or personal income taxes, and more than GST. 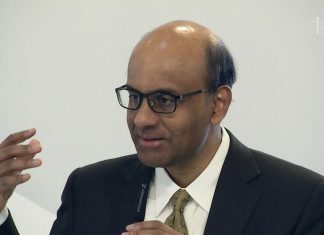 Temasek’s head honcho further said that the Singapore Government would have had to raise taxes earlier for social spending if it did not tap on the dividends or returns from MAS, GIC and Temasek. Ho Ching’s claims comes about a year after the Ministry of Finance announced that it will hike the GST to 9 per cent from the current 7 per cent in the near future to cope with rising expenditure. The impending GST hike, coupled with hefty water price and electricity tariffs increases, will see the cost of living for ordinary Singaporeans continuing to rise. “Previously, Temasek’s contributions to the budget spending was up to half its dividend payments to its shareholder, Singov. But dividends are more volatile and pro-cyclical – the dividends are more in good years and less in recession years, which is the opposite of what govt budgets should be. 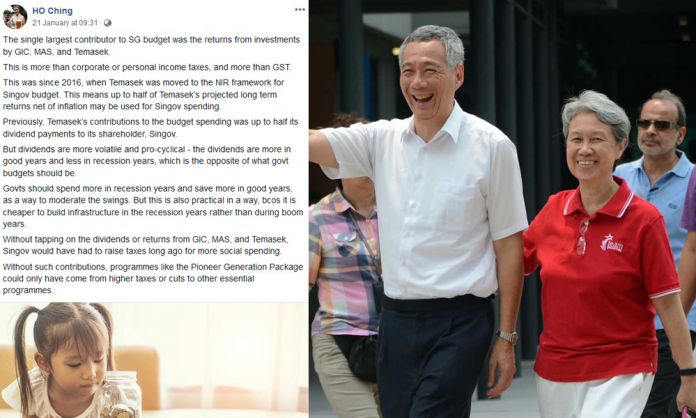 Her post gained some traction on social media with PAP members like Zainal Bin Sapari and Yeo Guat Gwang sharing the message and the article from her page. Zainal is an incumbent PAP MP at Pasir Ris-Punggol GRC while Yeo was a longtime PAP MP who was ousted from Parliament when he faced off against the Workers’ Party in the 2015 General Election.